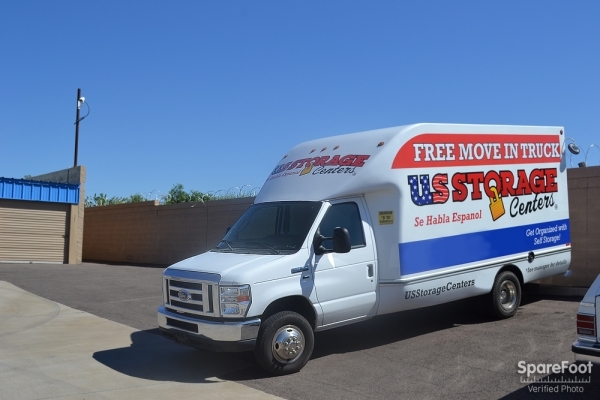 Free Move-In Truck! Personal Storage Garage getting cluttered? Remodeling your home? Need to make extra room when selling your house? Too many toys for one roof? Downsizing your home? Relatives moving back into your home? 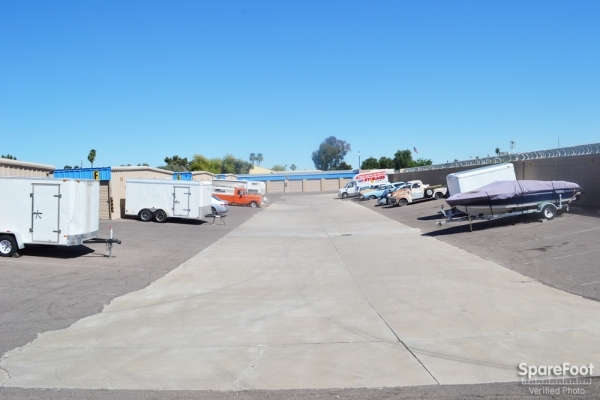 Need to store your RV Boat or Vehicle? 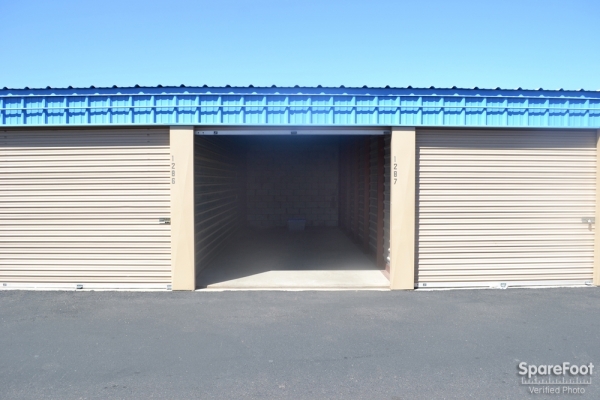 Nobody Knows Your Storage Needs Better You're looking for storage. To make your life more comfortable. More simple. 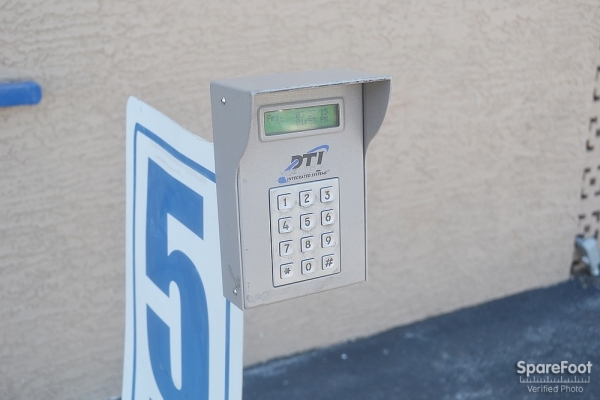 You want peace of mind that your valuables are safe. 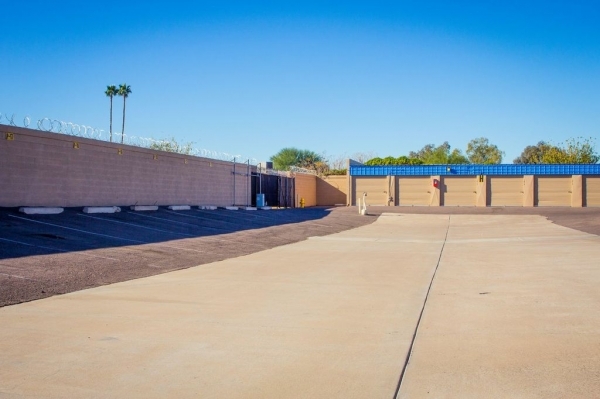 Someplace clean and pleasant, with easy access so you can get in-&-out quickly, 7-days-a-week. And, perhaps most important, you don't want to spend a lot. YOU'VE COME TO THE RIGHT PLACE We understand your needs, and we have you covered. 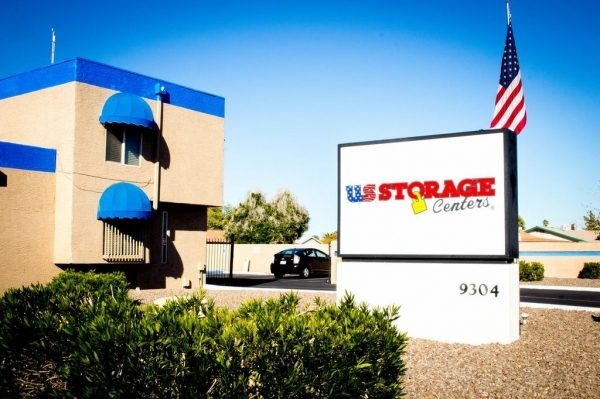 That's why, for over 20 years we've been America's first choice for storage. Always here for you always by your side. There is great peace of mind that comes from knowing your home is clutter free and all your cherished belongings are being protected 24/7. This place is very clean and the people that work here are very nice. Friendly, helpful and quick. Even got a free move in truck yo use. Very helpful and saved me money not having to rent one. 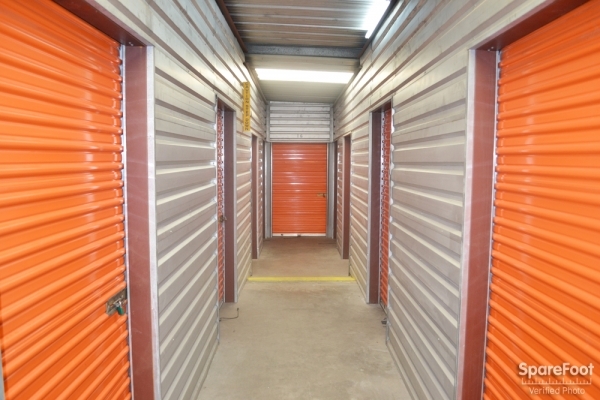 First time I called I was taken care of right away and was able to find my storage unit with in distance from my home. Very please with the staff at the storage unit. Thank you for all you have done thus far. The staff was very helpful being me the correct size unit after the one I reserved was determined to be too small. Girl in the office is delightful and I would definitely recommend to a friend. The pricing is what enticed me to begin with about this unit. upon arriving there the customer service was marginal. I was in notified about additional insurance and fees that were not posted on the website and then shown the unit. The walls were covered with a good layer of dirt but given the reason sandstorms I considered it normal. The remainder of the transaction was as expected and easy enough after that. I am very happy with the facility and hours of access. 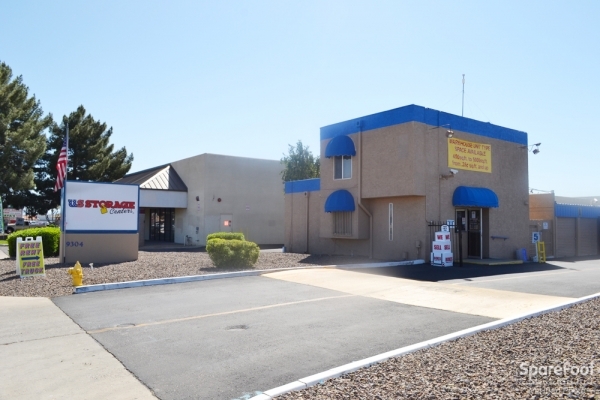 The facility was very clean and the office staff Cecila was very professional and friendly. She made my process of getting my storage very easy! The place is ok and Sophia was nice, but the inter-business communication is awful. I greeted courteously. The place had a lot of security camera's. I felt my things would be safe. The people here really show they care. Quick, effective, and what I needed. This is a must use place. I had a great experience here! Lucas was very helpful and informative. The facility was clean and ready for moving in. Easy access to my unit. I truly felt appreciated as a customer. Sofia was amazing with helping me move into my unit. She showed great patience with me while using the truck as well. Great experience overall. Easy set up. Saw many military using the facikuty, which is a plus. This facility is great very spacious for vehicles to maneuver. Customer service was great. I would definitely recommend it to others. So far it has been very good, its easy to load ,unload. Anthony at the front office is professional,friendly,and i didnt have to ask any questions because he explained everything very clearly. Great customer service, great place to rent! I was able to move my belongings into a temporary storage unit the day after I made my reservation. I was also allowed to use the moving truck, free of charge as long as I filled the tank at the end of my move. Great customer service and felt very secure leaving my stuff there! I would recommend this place to family. The staff was very helpful and friendly. The price was the best in town. I called a lot of places. Overall great! The gentleman who helped me was very accommodating and very informative! I must say, the young man who helped me was intent on covering all the bases. Courteous, articulate, friendly and knowledgeable! He left no stone unturned when it came to being sure I was completely satisfied with my service and indeed, I was! Thank you for "representing!" Polite and reasonable. In and out quick. I was looking for the best price and they had it. When I got there the friendly help was even better. I was happy. Unit is nice, friendly workers. Was very impressed in the manner of the worker. He sped things up for me because I was paying for movers. Thank you. Found this place appropriate for the price. Very secure and staff very polite and helpful. very nice and good customer service! affordable price. Tim and Joseph were super helpful. They went above and beyond to make sure that they help me to their fullest. The prices were great and the facility was great as well. I would definitely recommend this storage to my friends. PROCESS WAS QUICK AND SERVICE WAS GREAT! U.S. 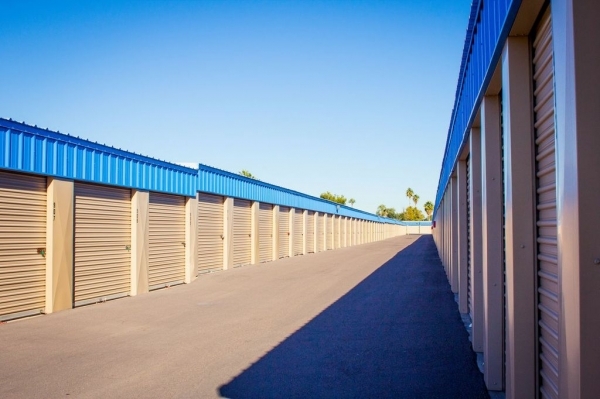 Storage in Glendale is an excellent choice in storage facilities. I was happy with my selection in storage facilities right off the bat. Their employees are friendly & coutreous & accomodating. They have been more than fair with me a a few occasions. 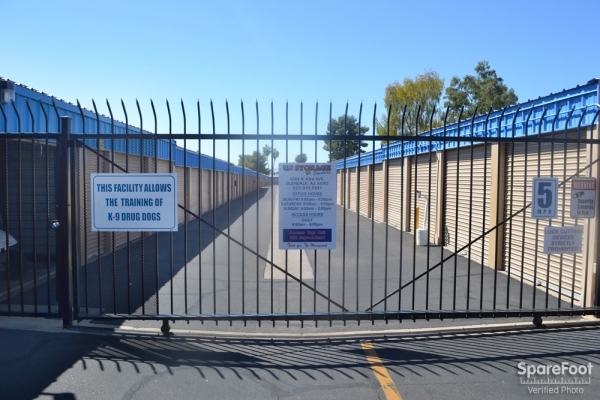 They have a truck you can use to move & their facility is clean & well maintained. Their security is top notch. 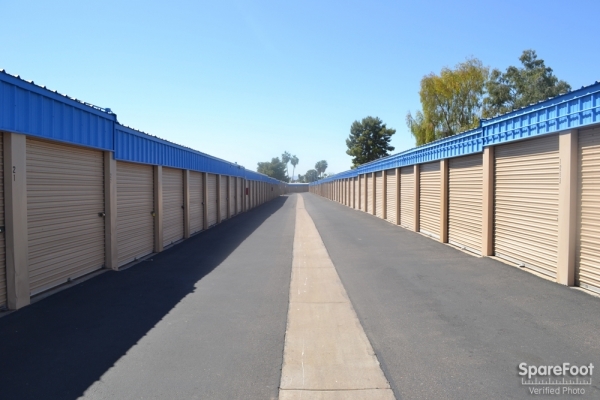 I have had several storage units all over the valley & by far u.s. 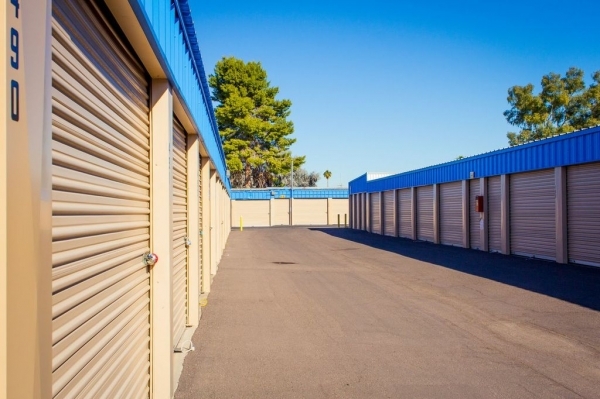 Storage in Glendale is my favorite one. Jim is an excellent property manager. Storage is convenience to get into and out. Facility appears to be clean and appreciation that the units are used for training purpose for drug dogs. Was an ok, cheaper in the valley storage units. Was an okay place. Units are basic. Price is average. The area is ghetto and, thats what I don't like. It took me over an hour n half to put the storage, when it only should of took 15-20 mins max. Great price for the unit and professional staff! Yolanda did a great job of getting my paperwork ready quickly, and was I'm happy with the price of the unit. Reserved the storage space on line, received a follow up call quickly to verify the information. Then received an email verifying the reservation, then a follow up call from the property manager. Very good follow up and customer service. Paperwork was seamless. Property is clean, well maintained. 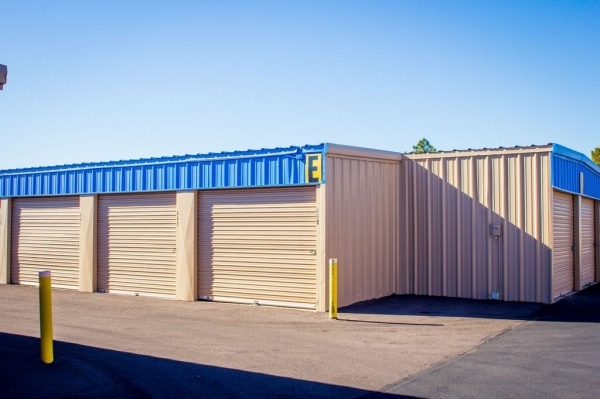 I have just begun to use this storage facility so anything I say would not be based on experience except that an incident occurred while I was getting my storage unit with another customer and your manager Jim in charge of this facility handled the situation well. He showed good deductive reasoning skills and a genuine concern for the customer who had become a possible theft victim. 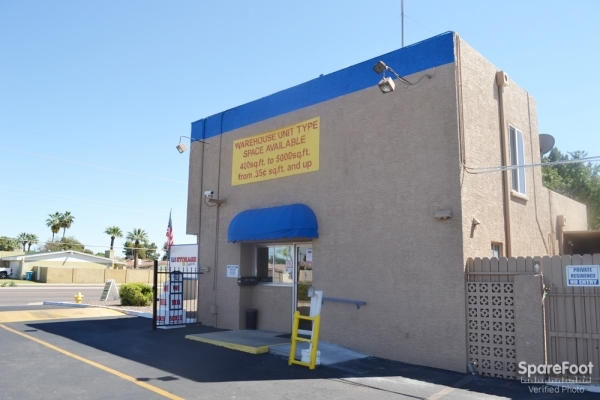 He exhibited good customer service and a willingness to help that customer at approximately 11:30am on 05-20-2015 at Glendale 9304 N. 43rd Ave. Kudos to him. Very friendly easy to speak to. the person at the desk was very nice and helpful. I found that US Storage had the best deal by usin Sparefoot.com. The price was great and when I went in, the woman at the front desk was amazing. She quickly got me in and out, explained everything clearly and she was so nice. 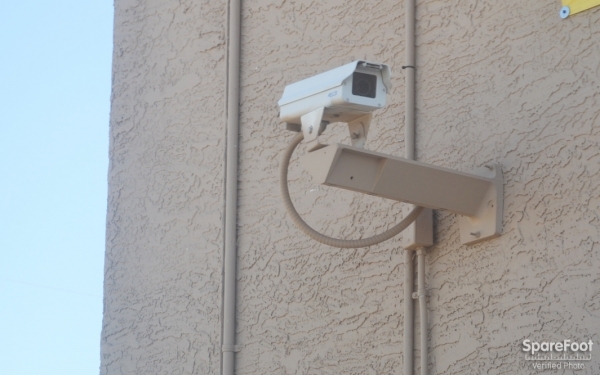 There are cameras for security all over. I am very happy with my decision to use US Storage. 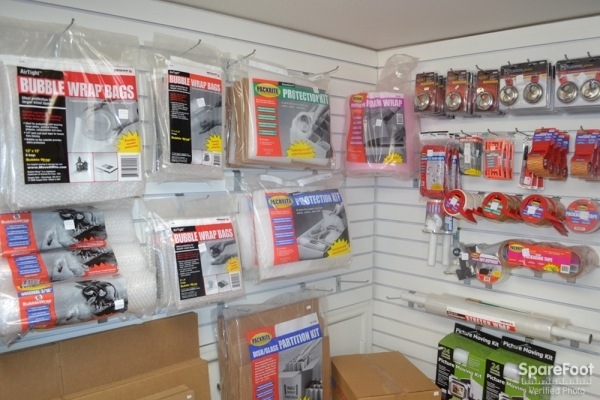 Fantastic and friendly staff, clean environment and low prices! Nothing beats customer service done the right way. The whole process was fast and easy and the staff is friendly and eager to assist with any questions or concerns that you may have. This place is clean and working mom approved! We enjoyed the convenience and parallel display of amenities on Spare Foot. We reserved unit and free moving-truck by phone. We showed up at designated time and were pleasantly surprised that the manager was ready for us with much of the paperwork already filled out. He was friendly and knowledgeable. The unit we had reserved was impeccably clean. 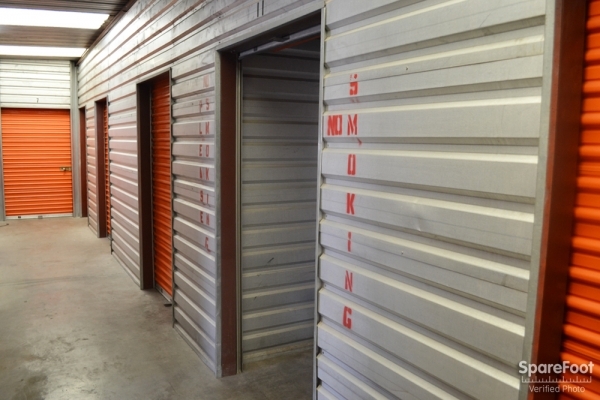 There were no "hitches" in the whole process and we are happy to be at US Storage Centers. Price lower than most others. Stayed late for me to return the truck. 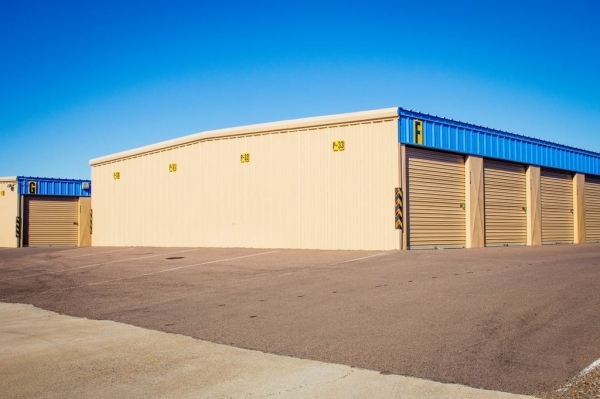 We are very pleased with our storage unit and the facility. The unit was clean and ready for us.The customer service was wonderful! The woman that took care of everything was very nice,friendly, and professional. 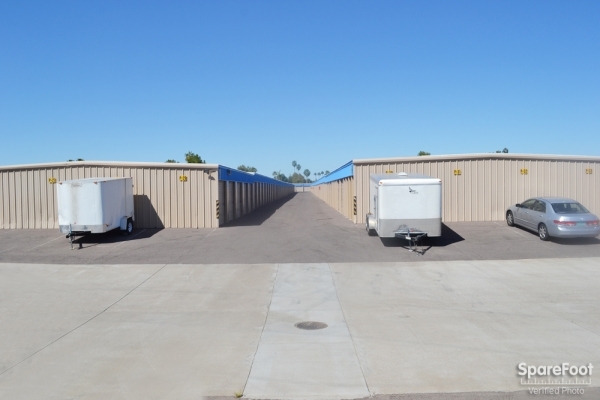 We would recommend this place to family and friends if they needed storage. I found Yolanda to be very friendly and helpful. The facility was easy to access and kept clean as well. I would recommend this facility to my family and friends. little more than I'd like to pay for storage in this area but it's conveniently located . Is clean and not over crowded. A little pricy but it's perfectly located close to where I live so I don't need to travel too far. I wish I could get in my storage before 6am . it's already warm outside at 6am in Phoenix. It's been great and a big help in our time of need! I love the sticker on the back of our lock, it gives that personal touch that is much needed! Very helpful and informative. Would highly recommend to family and friends. 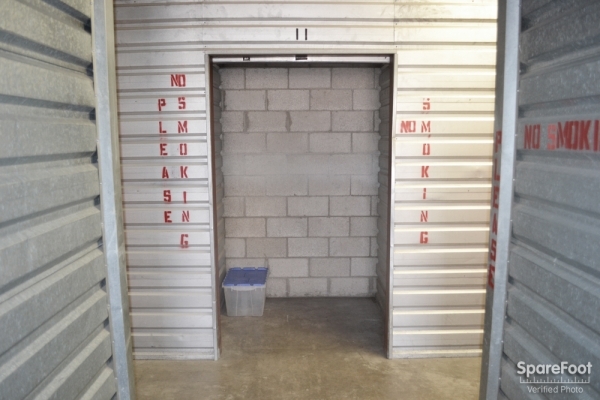 George was very knowledgeable about the storage rentals and the property safety. He made me feel very safe renting a unit. He was extremely kind, friendly and down to earth. We had a very professional and friendly experience with George and Yvonne. Yvonne was very accomodating and nice. And George keep us laughing put us in good spirts All in All it was a great experience. A very nice facility with an excellent employee by the name of George. When I arrived George took me through the process in a professional and friendly manner. He showed me my storage unit and proceeded to do the paperwork which took only five minutes or so. A great experience and I highly recommend this secure facility.